Aujla v Lidder 2019 BCSC 206 dismissed a claim brought by a plaintiff against other co-owners in a property, and the mortgage guarantor, for a declaration that he owned a one half interest in the property, or that the other co-owners held a 30% interest in trust, on the basis that the plaintiff failed to prove a basic contract that was enforceable. The defendants relied upon to statutory presumptions, namely section 23(2) Land Title Act and section 11 of the Property Law act. The court held that the co-owners each held a 20% interest in the property as tenants-in-common. The court dismissed the claim, finding that the imprecision with respect to rules of members of the L family reflected fundamental uncertainty with respect to the parties and the terms of the alleged agreement that the plaintiff would own a half interest. 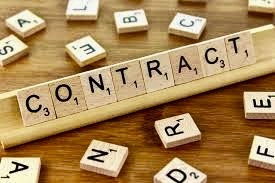 The court held that certainty of terms was an essential element of the contract, and it was not for the court to make agreement for parties. There was no suggestion in evidence that four co-owners were holding their shares in trust for the guarantor, and they had actually provided the other half of the down payment and were named in the mortgage is primary borrowers. “A legally enforceable agreement requires agreement- consensus ad idem-on basic terms, and the court cannot make a contract for the parties.